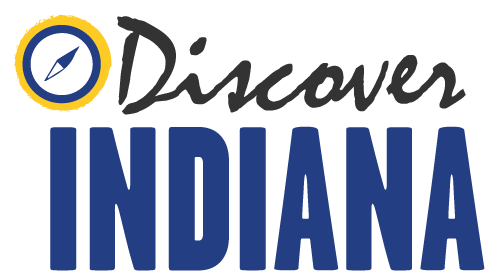 You are standing in front of the Indiana Soldiers’ and Sailors’ Monument within Monument Circle. Although the Soldiers’ and Sailors’ Monument primarily honors Indiana’s Civil War veterans, it also honors veterans from all American wars up until the monument’s dedication in 1902. 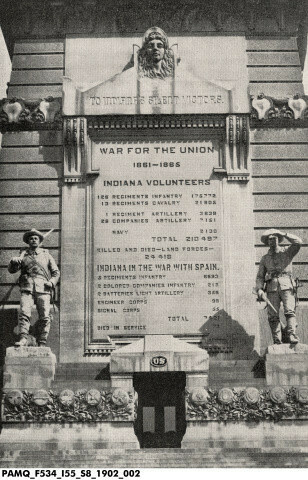 Although not overtly religious in character, war memorials comprise a key element of Indianapolis’ sacred spaces. The early twentieth century was home to a rising nationalism based on a united, secular devotion to the nation, which appropriated religious themes and iconography. This saw its most prominent expression in war memorials or commemorations of the American past. 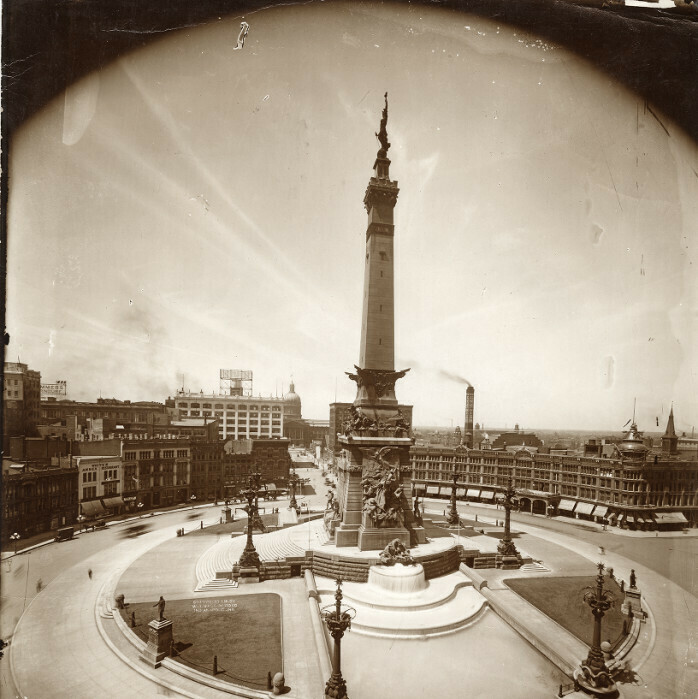 In addition to turn of the century political significance, the Soldiers’ and Sailors’ Monument also served as an outlet for mourning those lost in the Civil War. The Soldiers’ and Sailors’ Monument is one of the largest Civil War monuments in an American city. The German architect Bruno Schmitz, who is most famous for his monuments to German nationalism during the reign of Kaiser Wilhelm II (1888-1918), designed the monument. 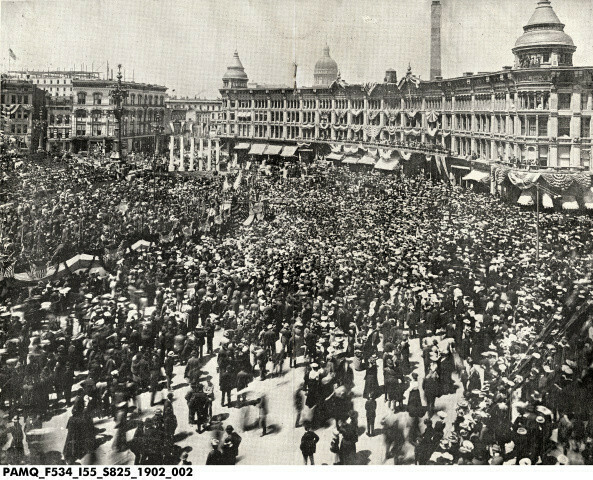 Schmitz’s reputation for building nationalist monuments is important when considering the Soldiers’ and Sailors’ Monument as a sacred space; it is his only major work in the United States and was completed just before his heyday as a designer of massive monuments to the newly-unified German nation under the Kaiser. The Soldiers' and Sailors' Monument is an important prologue to Schmitz's portfolio of nationalist monuments in the German Empire. " The impetus from the Monument stems from two sources: cultural and political. Civil War casualties were the highest in American history; the trauma of that mass slaughter hauntedAmerica for generations and arguably still does. 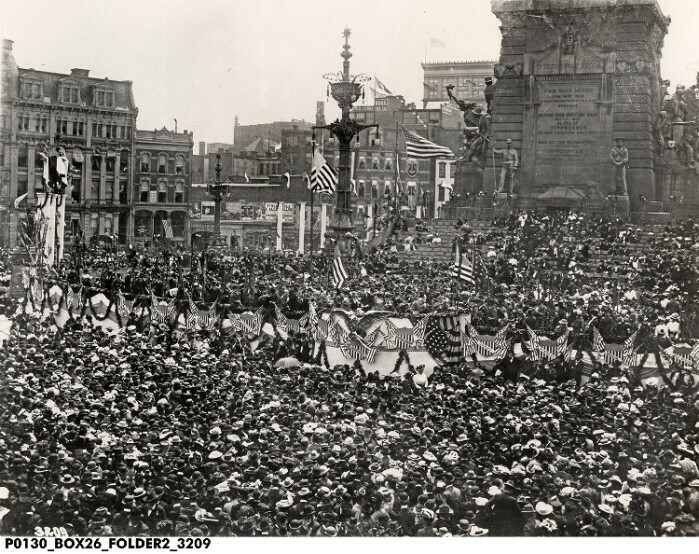 Public monuments like the Soldiers’ and Sailors’ monument served a dual purpose: honoring the fallen while giving meaning to their deaths: the unified American nation. The monument does not limit itself to the Civil War dead, but includes Hoosiers lost in the War of 1812, the Mexican War, Indian Wars, and the Spanish-American War, implicitly placing those men in continuity with the Civil War dead along with placing Manifest Destiny in continuity with the abolitionist cause. 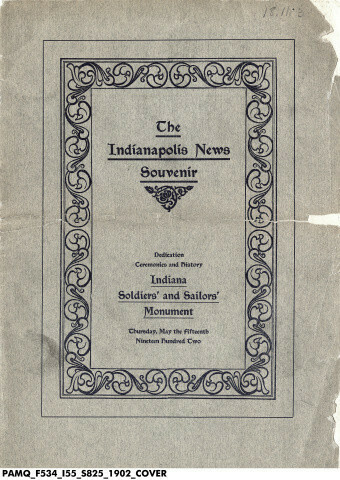 In addition to memory, the Soldiers’ and Sailors’ Monument also served a more immediate and practical concern: Indianapolis had no famous public landmarks at the time. 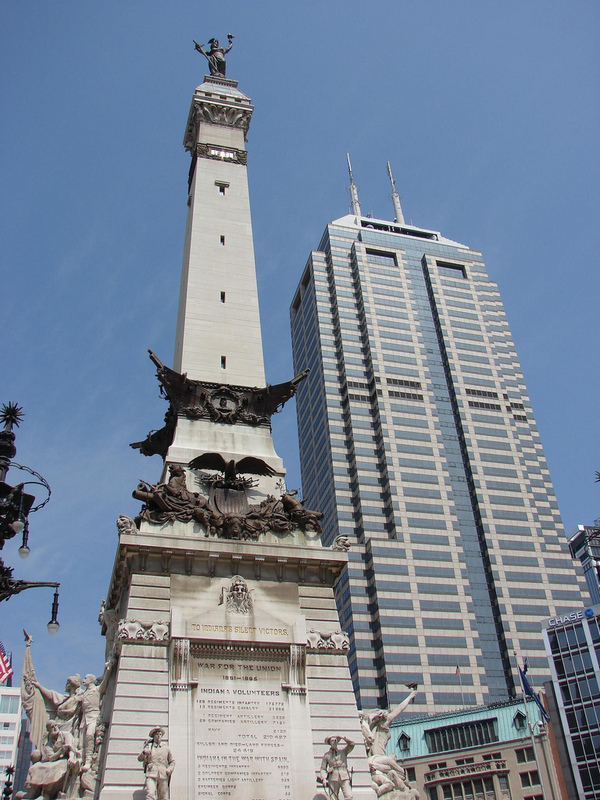 This monument was a way to gain notoriety for Indianapolis; this is reflected in the city’s nickname, the Circle City. 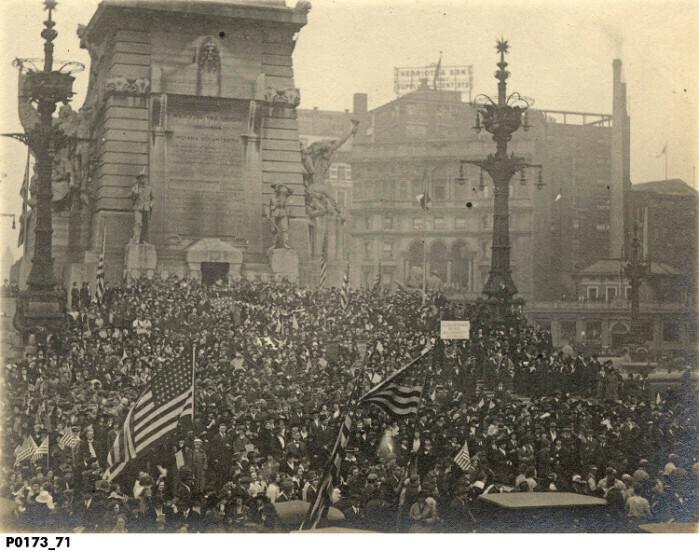 The monument also functioned as a center for public meetings and spontaneous displays of patriotism; one notable example is the Monument’s location as the center for Indianapolis’ celebration of the end of World War I.
Continuity : The monument also honors the dead from all of America’s wars prior to 1902. In this photo, the Spanish-American war is placed in a continuum with the Civil War. Image courtesy of Indiana Historical Society. 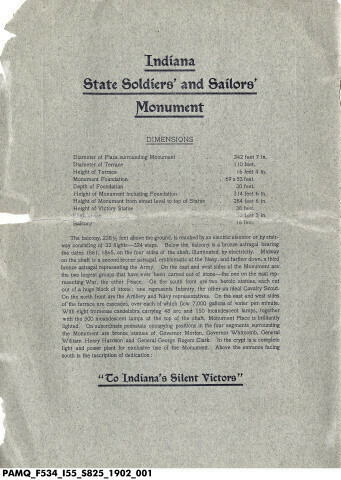 Nicholas K. Johnson, “Indiana Soldiers and Sailors Monument,” Discover Indiana, accessed April 25, 2019, https://publichistory.iupui.edu/items/show/26.